The first robot presented is called “Geronimo” and it is a simple autonomous robot with an ultrasonic sensor for obstacles avoindance. 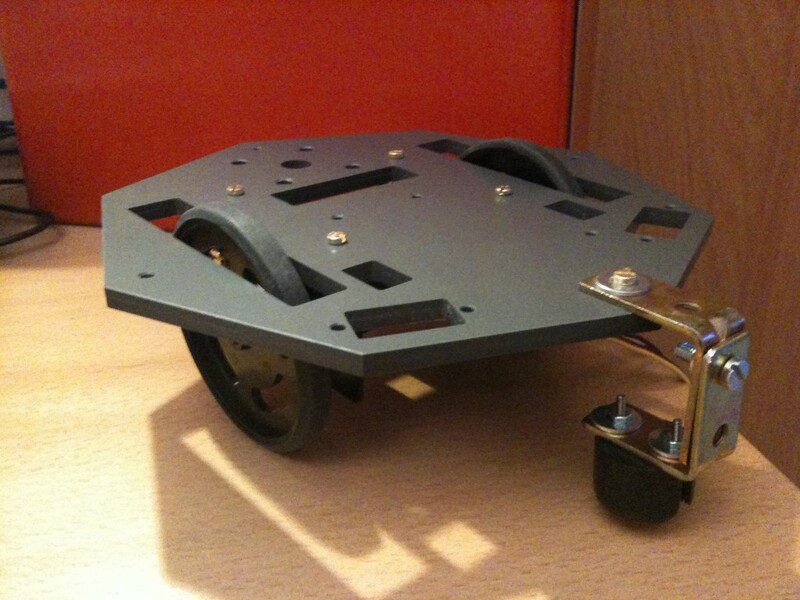 This robot can be built by a newbie of robotics. 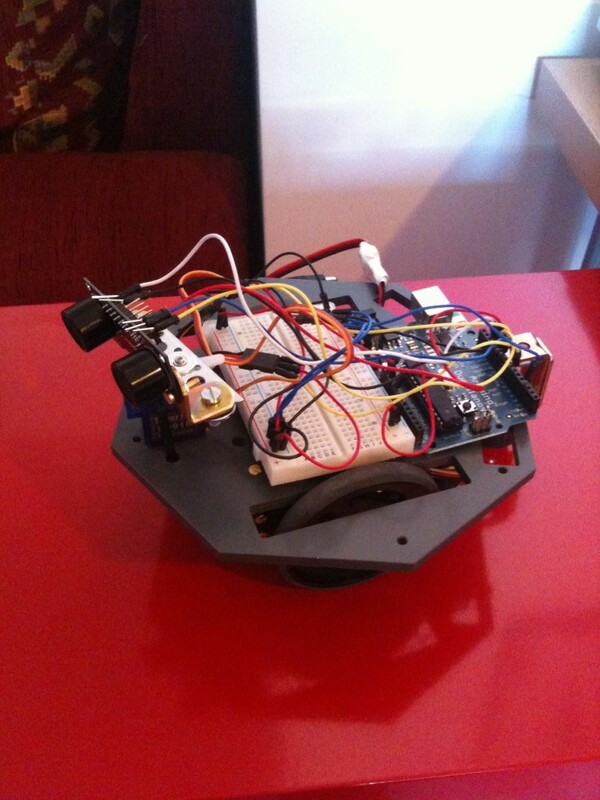 The robot, very basic and simple, goes straight and verifies if there are obstacles. If it found some obstacle, it turns the ‘head’ and sees at the right and at the left in order to verify where the street is more free. 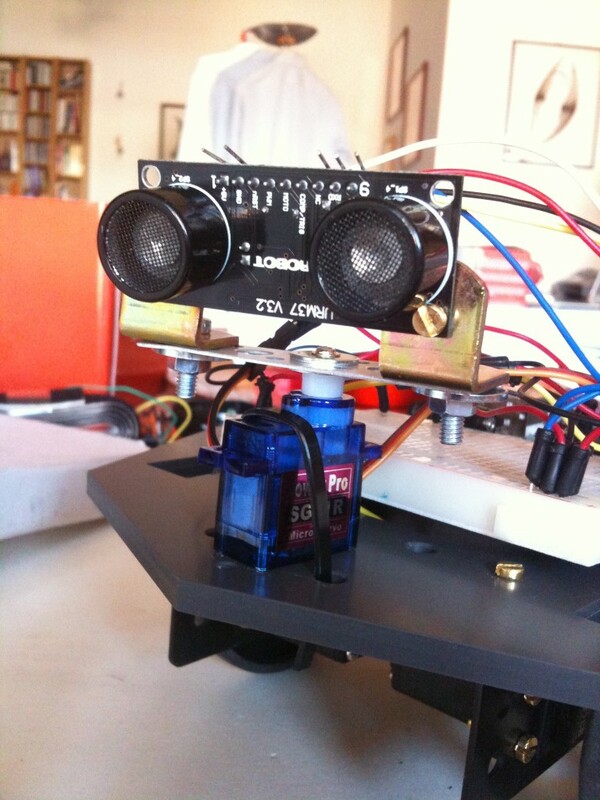 At the beginning it seemed very interesting the functionality of servo driving offered out-of-the-box by the sensor, however making some test I couldn’t to drive well the servo, that it went from a part to another part at maximum speed. 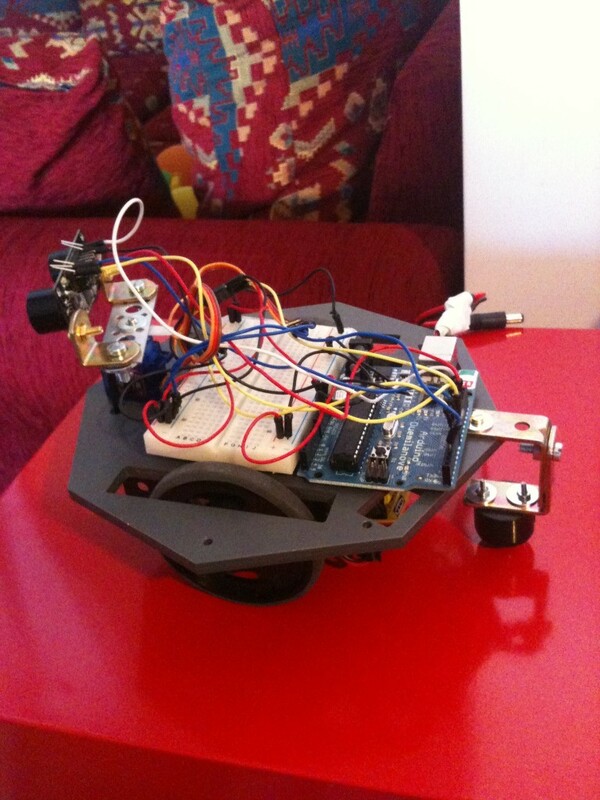 So, I used directly Arduino to drive also the sensor servo. I think that spending more time, it is sure possible to make something better. 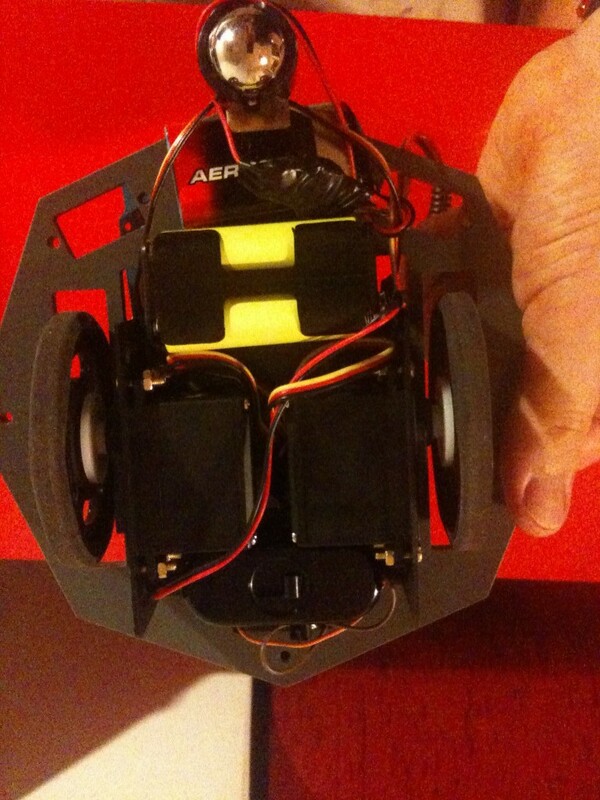 Servos Hitec: not very well. Unfortunely they don’t have a pot to regulate the stall (I mean to stop them), so I have tried with some tests. Finally I discovered the stall value. 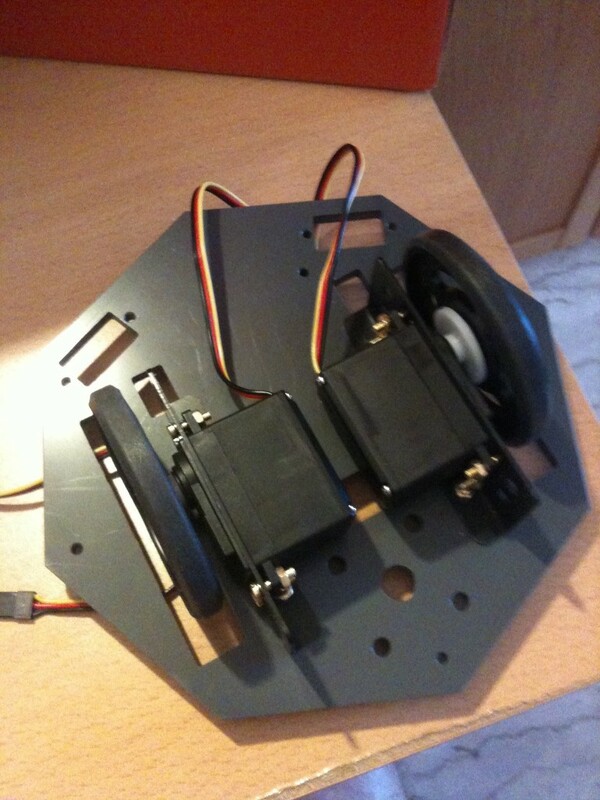 Another issue consist in turning the servos to a precise angle. The only method that I could use is many, many tentatives. I know that is a common problem for continuous rotation servos. 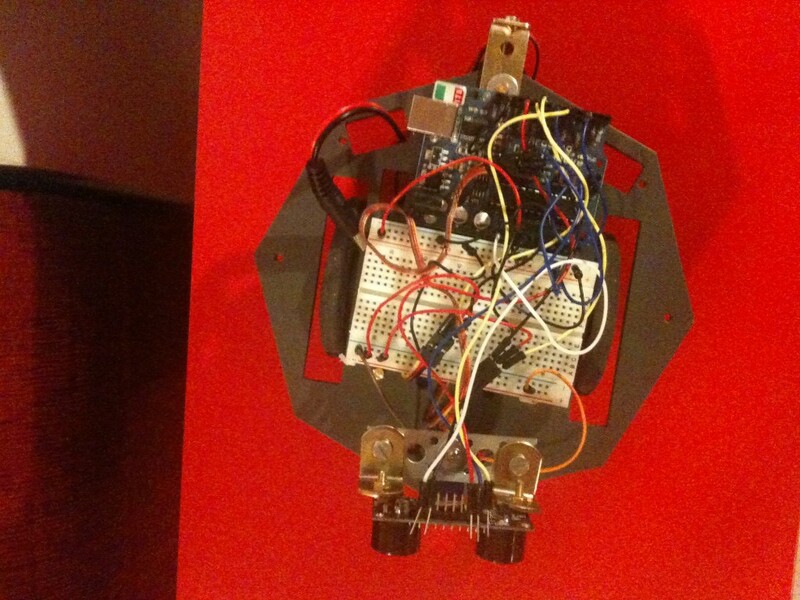 Batteries and Arduino: I used two batteries, because the Arduino hasn’t enough current to feed the servos. When I divided the power, I hadn’t problems.